Black Lightning won’t even be on the air until 2018, so Comic-Con was an early chance to talk to the cast of The CW’s next superhero show. Black Lightning is part of the DC Comics franchise, but also China Anne McClain has another franchise credit. She’s in Disney’s Descendants too. McClain plays Jennifer Pierce, the daughter of Black Lightning (Cress Williams). Black Lightning wasn’t a comic book that young Franchise Fred read, so I’ll let China Anne McClain tell us more. Q: How does your character fit into the amazing female characters in the DC superhero shows? 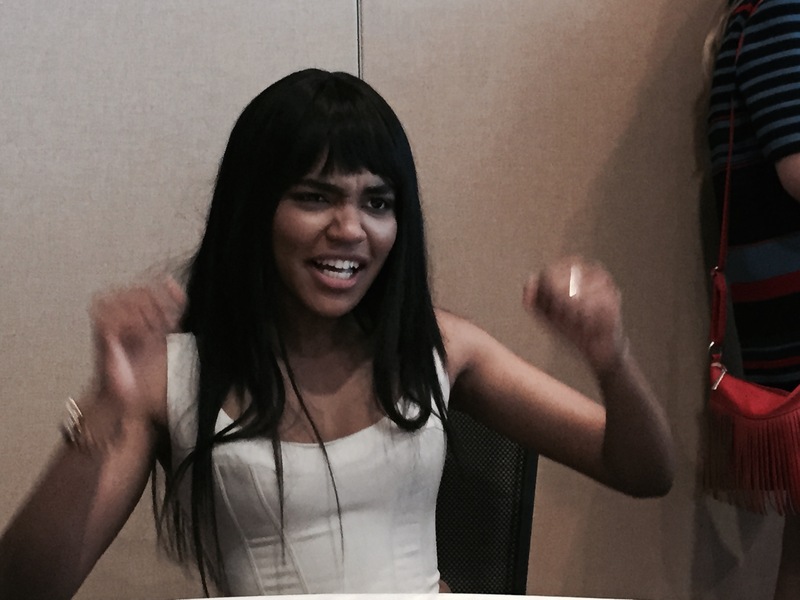 China Anne McClain: Well, one, she has super powers which is pretty darn cool. Two, she’s a very original, unique character because superheroes I feel like are portrayed in one way and you get a little bit of their backstory but not much. They just focus more on the superhero aspect. In this show, it starts off with her struggling in life. No superpowers, just being a teenager. Then you get to see her arc of becoming a superhero, the responsibility that comes with that. Q: What acting challenges do you face on Black Lightning? China Anne McClain: Probably the physical aspect of it, because when you come in, it’s like boot camp. 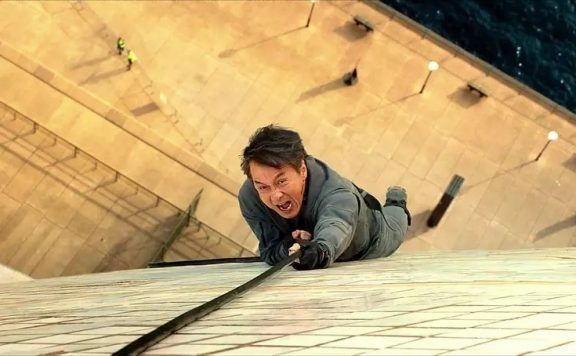 They whip you into shape and you are thankful for it after this because you get on set and you’re ready and you feel prepared, but the physical aspect is a lot at the beginning. Franchise Fred: How important is family to Black Lightning? 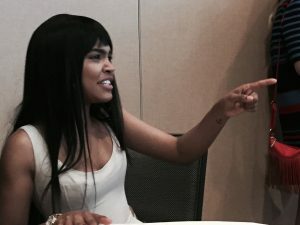 China Anne McClain: Oh my gosh, I would go as far as to say that family is one of the most important aspects on the show if not the most important, because it is a superhero family. As opposed to just dealing with a teenager that’s acting up or acting crazy, you have to deal with a teenager that’s acting up and acting crazy with super powers. So it’s a really great look for Cress and it really shows different sides of him. It’s dynamic. Q: What is your character’s dynamic and her sister? 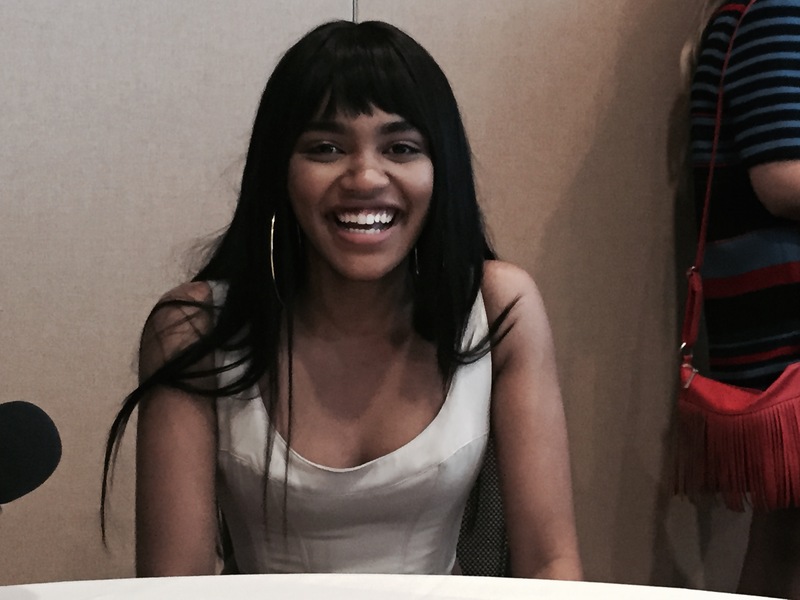 China Anne McClain: There is an age difference there and also their family is kind of broken. 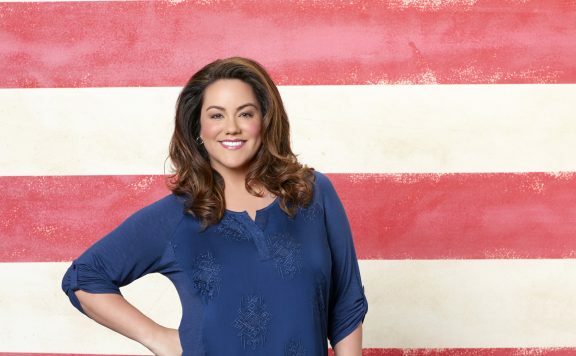 Their parents have split up so there’s a little bit of strain in their relationship but my older sister, Anissa, in the show is definitely my protector. That’s the main thing. She just wants to protect me at all times. So even if there is an age difference, she’s off at college and I don’t get to see her or I don’t listen to her, she just wants to protect her. Franchise Fred: How aware were you of Black Lightning comic books before you got the part? 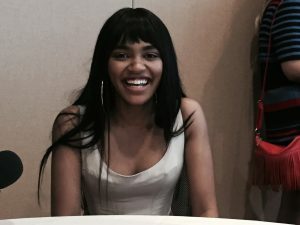 China Anne McClain: To be honest, I hadn’t heard of Black Lightning before this. So when I got the e-mail I was like, “What? What? What is this?” Then I looked it up and saw that he was one of the first African-American superheroes. I was sold after that. I was like, I’m totally going on this. I love DC as well so I was sold. Q: Have you had good encounters with fans? China Anne McClain: It’s really strange because we haven’t even started shooting the show yet. We’ve only done a 15 minute presentation, not even a pilot. So to see that the fans are already so devoted and they love us and they come up to Cress looking at him already like he’s this superhero that they look up to when they haven’t even seen the real core of the show yet is really inspiring and it makes me really excited for them to actually watch it. Franchise Fred: Is there any crossover between Black Lightning and Descendants fans? China Anne McClain: [Laughs] Yes, yes, definitely. I was actually just outside and we walked in. They were like, “We’re so excited for Black Lightning. We watched Descendants 2 last night too!” That’s really cool because that’s the same world. Supervillain and superhero, the same world. Q: What would a family of superheroes talk about at home? China Anne McClain: They would be like, “So did you short anything out today with your electricity?” I would actually love to do that. They need to do that on Comedy Central or something where a superhero family sits down and does that. 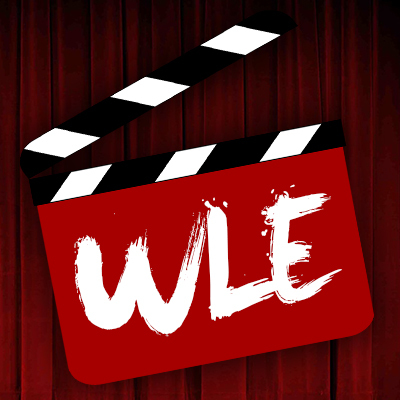 Q: What CW shows would you like to cross over to if you could? 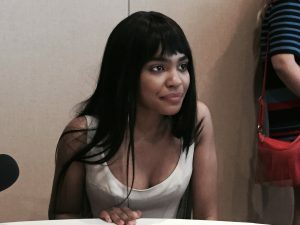 China Anne McClain: I feel like Arrow kind of has the same feel because it’s a bit darker and so is Black Lightning so that would be cool. But I also just love Grant so Flash would be really cool to cross over with. Do a race or something.